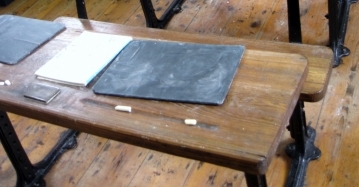 We are trying to compile a list of national schools, please contact us if you have memories or photographs of a national school or just a basic idea of where a national school once was. 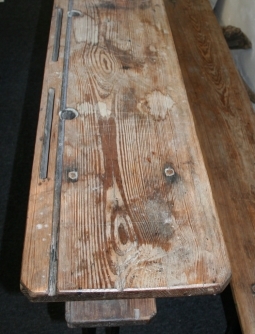 Do you know of former national schools in central England? We'd love to have locations, memories or photos to share with other people through this site. Bridstow is 2 km west of Ross-on-Wye and 17 km southeast of Hereford. Source: www.geograph.org.uk The copyright on this image is owned by Pauline Eccles and is licensed for reuse under the Creative Commons Attribution-ShareAlike 2.0 license. A national school for girls was established in 1826. It had 77 pupils was partly paid for from the rent of a meadow given to the school. The rest of the cost was made up from subscriptions and a collection after an annual sermon. In the early 1800s was established the Croft and Yarpole National School. A description from 1835: "a national school contains 45 males and 51 females, and is supported chiefly by a collection made after a sermon preached annually in the parish church, also 8 or 9 children who are able to make a weekly payment of 4d, all the remainder pay each a halfpenny per week which goes towards defraying the expense of a Sewing School (connected with this school, of which the mistress is allowed 5l annually); the master has a salary of 40 l per annum, with two-thirds of the money received from pay scholars." Eye was home to the Eye Moreton and Ashton National School which was almost entirely supported financially by the local vicar. A national school was established in the St Peter parish for 100 girls. A national school was set up here prior to 1833, supported by a Mr Arkwright. According to the photographer, the plaque says that this was once a Sunday and Lay School. King's Caple National School was built in 1840. There was a national school for infants - 15 boys and 25 girls - which was funded by subscription. And a national school for older children - 50 boys and 90 girls (with a few extras on Sundays). The school, funded by subsription, had a lending library attached. 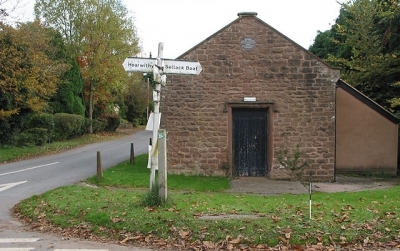 The schoolhouse was given by Mrs Hall in 1706. A national school, supported by subscription, took in 60 boys and 35 girls. A national school opened in 1833 for 90 boys and 90 girls. The schools is partly supported by an endowment of 6 l per annum for which 12 are instructed, partly by subscription, and partly by small payments from the remainder of the children. A national school for 30 opened in 1819. It was supported financially entirely by the rector. The schoolmistress was paid 16 guineas each year and had a room rent-free. The national school (opened pre-1835) for 50 children, was held in a school built by Lady Coffin Greenby using 80 pounbds from the Society for the Promotion of Christian Knowledge. Her father donated the land for the building. Lady Coffin Greenby funded the running costs of the school with the addition of a 5 pound yearly endowment and some subscriptions. A national school for 70 boys and girls. 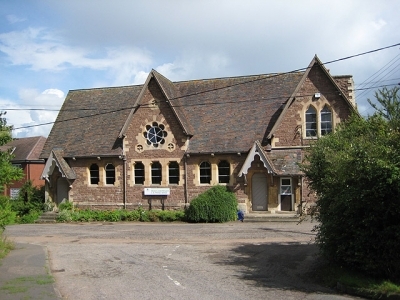 The national school opened in 1865 and later became Weston-under-Penyard C.E. Primary School. The brick building was the charitable Abbey School, founded in 1708, and subsequently the National School (1898). Today it is an arts workshop and exhibition space. Next to it stands the United Reformed church. Source: www.geograph.org.uk The copyright on this image is owned by Natasha de Chroustchoff and is licensed for reuse under the Creative Commons Attribution-ShareAlike 2.0 license. 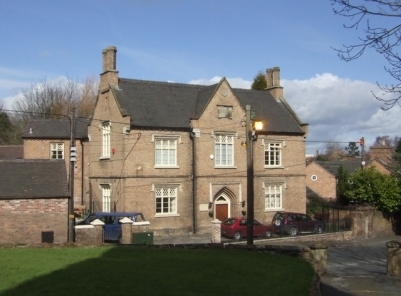 A national school was built in 1895 in Leicester Street. 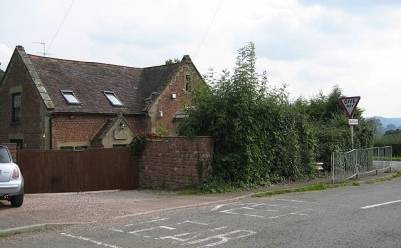 The reamins of the building are now within the site of the Newbold Centre, home to the Warwickshire Learning Disability Board. The National School was on Erdington High Street, near St Barnabas CofE Church. 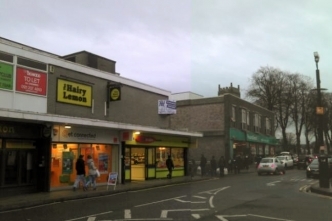 The National School stood on the High Street by where the pub (formerly known as the Roebuck) once stood. There is nothing left of the original school building but the approximate position of it is shown on the photo above. The square tower of St Barnabas' Church (below) can just be seen over the Pound Shop building. 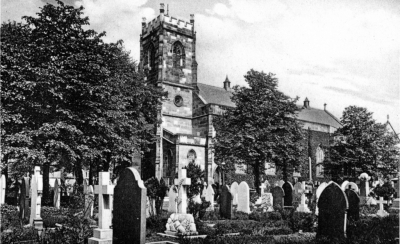 St Barnabas Church as it looked in the mid-nineteenth century when the national school was built. 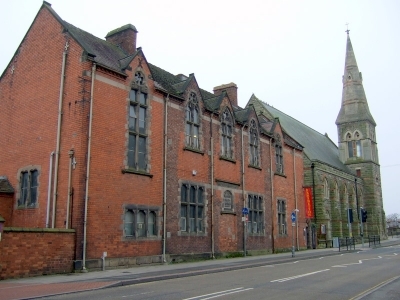 The former national school building still stands near the corner of Wolverhampton Road and the High Street. Does anyone have a photograph of it? The former national school still stands opposite St Michael's Church. Source: www.geograph.org.uk The copyright on this image is owned by John M and is licensed for reuse under the Creative Commons Attribution-ShareAlike 2.0 license. Dawley National School opened in 1841 and became Dawley C. of E. Primary School in the 1950s. A great history of the school can be found on the Dawley Heritage website.